Ellen has worked with the labyrinth since 2000 when her minister at Gary United Methodist Church asked her to learn more about the practice so she could educate her congregation. At the time, she was leading some classes at the DuPage County Jail for the female inmates and saw how beneficial the labyrinth could be for the incarcerated. 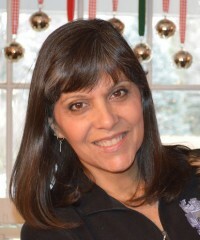 In 2001 she trained to be a certified facilitator with the labyrinth organization Veriditas. After creating a successful jail labyrinth program, she has since helped people all over the world get labyrinths into jails and prisons. She is a founding member of the Veriditas’s Council, and founded the Global Healing Response in 2005. Along with her work with the labyrinth, Ellen holds a deep passion for social justice. Her initiatives include starting a book club and labyrinth program in the DuPage county jail, creating an anti-violence program in the Southside of Chicago called Sacred Ground Ministries, serving on the DuPage County Family Violence Council and being a committee member for the Martin Luther King, Jr. Celebration for DuPage County. The story of the creation of the Global Healing Response, its goals and vision is a good one! Ellen would love to share it with your group or organization. Ellen Bintz Meuch grew up in Wheaton, IL outside of Chicago and attended college at Purdue University, receiving a B.S. in 1982 with a major in business management and a minor in accounting. She also holds a certificate in publishing from the University of Chicago. Ellen resides in Wheaton, Illinois and is the mother of four children ranging in age from 34-21.